The U.S. Equal Employment Opportunity Commission (EEOC) has published questions and answers on the application of the Americans with Disabilities Act (ADA) to people in the workplace who are blind or who have vision impairments. The latest Q&A document is the fifth in a series of fact sheets issued by the EEOC for persons with disabilities, and/or focusing on the ADA and specific disability issues. It is the second ADA document made available by the Commission in the past two weeks, in observance of National Disability Employment Awareness Month. How employers should handle safety concerns they may have about applicants or employees with vision impairments. The county's electronic voting machines comply with a 2002 federal law to allow people with disabilities to cast a secret ballot. The Help America Vote Act mandates that all states must meet this requirement by Jan. 1, 2006. Weighing just eight pounds, the county's touch-screen voting machines can be carried to a resident's car for curbside voting. For voters who are visually impaired, the machines feature a "zoom" function that enlarges the ballot, displaying just one race at a time. Earphones also can be plugged into the machines to hear step-by-step instructions on voting. Voters who are visually impaired or blind can listen to an audio ballot that instructs them on which quadrant of the screen to touch to cast their vote. Voters who wish to use any of these features should inform the election officer at their polling place. Fairfax County election officers also have received state-sponsored training on making polling places accessible to people with disabilities. During the past year, county election officials have conducted demonstrations to instruct people with disabilities how to use the voting machines. On Friday, Oct. 28, secretary of the county's Electoral Board, Margaret Luca, will be conducting an information session at the state convention of the Old Dominion Council of the Blind and Visually Impaired. The visually impaired use the web too! Despite high gasoline prices and security concerns, Americans are traveling in record numbers and using the Internet to do it. According to the Travel Industry Association of America, about 30 percent of the U.S. adult population uses the Internet for travel planning each year. And why not? The multitude of travel Web sites offers a host of benefits such as comparing discounts, viewing hotel rooms online and reserving tickets to hot attractions. But not everyone gets to share in the fun. Millions of Americans with vision loss are unable to reap the benefits of the Web. Last summer, the New York attorney general took notice and announced settlements with two major travel retailers to make their Web sites more accessible to users with vision loss. The attorney general successfully argued that the Americans with Disabilities Act (ADA) means all places of "public accommodation" must be made accessible to disabled citizens, including Web sites. While these specific sites have made changes, the Internet is still largely inaccessible to the millions of Americans with vision loss. 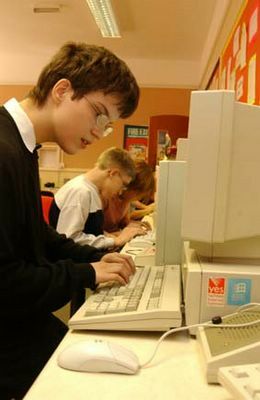 Visually impaired people depend on "screen reader" software that enables the computer to read the text and images displayed on the monitor. When a blind person clicks on a picture, this adaptive software reads whatever descriptive text has been programmed into the page. But too often, Web designers fail to consider accessibility and label pictures blankly as "image" instead of "family in the mountains." Fancy features like flash animation and multiple pop-ups, while annoying to any computer user, are even more frustrating for people with vision loss as they disrupt the text flow being translated by assistive technology. Many Web sites aren't even compatible with screen readers to begin with, leaving the user with nothing but gibberish. With the Internet becoming increasingly important for employment and educational opportunities, timely access to news and connection to communities around the world, it's imperative that businesses start taking action now. Today, 7.3 million older Americans report some form of vision impairment even while wearing glasses or contact lenses, according to the National Vision Rehabilitation Association. As Baby Boomers age, this number is expected to increase significantly. Organizations need to start implementing adaptations to technology now --many of which are uncomplicated and not cost prohibitive -- so they can retain these older, computer savvy consumers. What's more is that the same accessibility tools that benefit people with vision loss help other segments of the population. We've come to rely on Blackberries and cell phones to do everything from checking e-mail to monitoring stock prices. Consumers would be able to get information more quickly and efficiently on these devices if viewing content without graphics and pop-ups was the norm. As we approach travel planning and gift shopping for the winter holidays, we're hoping more companies will take the time to assess their Web sites -- and other technology products -- for accessibility. It's not just the right thing to do for people with vision loss. It's a smart business decision. Despite rain and strong winds that whipped up high waves along the Outer Banks, a record amount of fish were caught during the 2005 North Carolina Lions VIP Fishing Tournament.Tournament officials said that 1,023 pounds of fish were caught during the five-hour tournament on October 11. The total catch was three hundred pounds more than was caught in 2004.The VIP Fishing Tournament is an annual event for visually impaired persons. Over 520 people representing 76 North Carolina counties participated. This year marked the 21st year that the tournament was held in the Outer Banks. It is the largest event of its kind in the United States.Along with fishing, participants took part in seminars and received information on important changes in Medicare and Social Security that will have a direct effect on the visually impaired.The VIP Fishing Tournament is sponsored by North Carolina Lions and is organized by the First Flight, Manteo, Nags Head and Wanchese Lions clubs. The Plymouth, Columbia and Currituck Lions also participated.The cost for the three-day event is around $150,000, Executive Director Gwen White said. "We're thankful that many businesses and individuals made significant contributions, whether they provided money, supplies or in-kind contributions, which allowed the Lions to put on such a great event for the visually impaired." The North Carolina Lions Foundation also provided a grant.White said 13 motels in Kill Devil Hills, Kitty Hawk, Nags Head and Manteo provided accommodations at discounted rates for participants and volunteers. Many of the volunteers traveled six hours or more just to help with the VIP Fishing Tournament.Participants fished off the Avalon, Nags Head and Outer Banks Fishing Piers. Two head boats, the Crystal Dawn and Miss Oregon Inlet, were also used.Last week's rainy weather forced tournament officials to abandon plans to include the Rodanthe Fishing Pier after the primary road used to reach the pier flooded. More than 150 participants who were assigned to use the Rodanthe pier were reassigned to use the three other fishing piers. "Despite the rainy weather and the elimination of the Rodanthe pier, this was probably the best tournament we have ever had," said William W. Hood, president of the tournament's board of directors. "Everyone appeared to have a great time, particularly when it came to the day of fishing. A little rain didn't dampen their spirits. Our visually impaired friends appeared to have really enjoyed themselves," he said.Hood noted that the 357 participants who fished went through more than 2,400 pounds of Canadian-grown blood worms and 25,000 feet of fishing line.Board Member Allen Aldridge noted that the Avalon Fishing Pier appeared to have the best luck, with participants catching more than 438 pounds of fish. Participants at the Nags Head and Outer Banks piers recorded a total catch of 270 pounds at each location.More than 140 of the VIPs were first-time participants. Aldridge noted that 226 of the participants caught at least one fish.One volunteer was assigned to each three participants, placing the worm on the hook and removing the fish once caught. Forty-seven students from Manteo High School and 15 nursing students from Dare County also volunteered. This year also marked the first National VIP Fishing Tournament, pitting North Carolina against visually impaired fishermen from South Carolina and Virginia. The national tournament was held on October 12 at the Nags Head Fishing Pier. Caroline Ward, of Watauga County, won the tournament - clinching the first title for North Carolina. Here are the results for the North Carolina VIP Fishing Tournament:Avalon - Tony Ferrita of Alamance County, 1st place; Mary Alice Hughes of Davidson County, 2nd place; and Sharon Weddington of Iredell County, 3rd place.Crystal Dawn - Ann Sumner of Edgecombe County, 1st place; Bill Sutherland of Vance County, 2nd place; and Angel Scott of Edgecombe County, 3rd place.Miss Oregon Inlet - Dee Frizzell of Haywood County, 1st place; Douglas Howard of Catawba County, 2nd place; and Robert Boone of Rutherford County, 3rd place.Nags Head - Lillie Midgett of Dare County, 1st place; Mike Stockton of Gaston County, 2nd place; and Frank Wood of Gaston County, 3rd place.Outer Banks - Donald Tucker of Catawba County, 1st place; Rick McClellan of Cabarrus County, 2nd place; and Annie Bragg of Cabarrus County and Hubert Ward of Watauga County, 3rd place.The Bill Reynolds Trophy for the heaviest fish caught went to Carolina Ward of Watauga County and Ramona Stafford of Forsyth County, who both caught a fish that weighed 2.6 pounds. For 94 years, Mildred Denham has been involved in church and civic activities, even after macular degeneration robbed her of central vision in her late 80s. She has some peripheral vision, but she admits "as far as reading, that is just out of the question." That left her unable to keep up with local news, until three years ago when she heard about the Radio Reading Service of Eastern North Carolina. Based locally out of the studios of Public Radio East at Craven Community College, volunteers clip local stories and news items from the Sun Journal each afternoon for a one-hour broadcast to the area's visually impaired. "It's been wonderful," said Denham, a former teacher, who was later a management analyst at Cherry Point. "With the visually impaired, it is nice to have someone read to you. They pretty well cover the paper. I have just been pleased and happy to have that advantage." Director Dave Small explained that volunteers come in at 2 p.m. daily and clip the local items from the newspaper in preparation for the 3 p.m. air time. A reader and a board control operator then go live via a special frequency for an hour. They even give descriptions of the photographs. Since there are other audio outlets for national news, the content is all local. "I like all of it," said Denham, who moved here with her late husband, Charles, in 1953. He too was active in civic affairs, so the couple was always interested in local happenings. "I think they do a good job of coverage and try to cover the whole horizon so each person receives what they would like to hear," she said. She and other listeners in a 10-county frequency range get the feed on a one-channel radio that is provided by RRS and distributed through the Department of Social Services Services for the Blind. "It's one-on-one because they each have their own radio," Small explained. The program also extends to anyone who can't physically read the paper. "Imagine if you have a physical problem with your hands and you can't pick up this newspaper and make it work for you," he said. The RRS gets no government support, relying on local businesses and charities, Small said. The group's broadcasts from the CCC campus in New Bern are free of charge, courtesy of the college. Howard Jones, of Pinkam Television, designed the broadcast equipment. The service began in 1992 and today it is also broadcast through the audio system at Craven Regional Medical Center. But, with a seven-day-a-week schedule, the broadcast group itself has a dire need - more volunteers for a few hours a month. Small said experience in broadcast is not necessary and people should not be intimidated by a few knobs on the control board. Surveys show the average audience member is over 55, female, living with one family member or alone - usually with no one to read to them. "Close your eyes," Small said. "Now imagine opening your eyes and you are still in the dark." There are 2,100 registered blind people in this area, Small said. There are potentially 36,000 listeners in the frequency range who would benefit from a few hours of volunteer work. "It is rewarding work," Small said. "We just need more volunteers." Drivers aren't the only ones who have to learn new rules when traditional intersections are converted to roundabouts.Also sharing the road will be pedestrians, some of whom may be blind or visually impaired. Advocates for the disabled say that could pose a problem. That's because the normal cues that visually impaired pedestrians listen for when crossing traffic aren't present in roundabouts, said Nikki Llewellyn, orientation and mobility manager with The Association for the Blind and Visually Impaired-Goodwill Industries of Greater Rochester Inc.
"What you're listening for is the perpendicular traffic surge in front of you to stop and the surge of parallel traffic to your left or right to begin," she said. As part of her job, Llewellyn teaches blind and visually impaired people how to achieve safe, independent travel. "I've always been very happy that we didn't have many (roundabouts) here," she said, adding that if we get more roundabouts in the area, she may advise her clients to avoid crossing at them if there are traditional crossings with traffic lights nearby. No specific Americans with Disabilities Act guidelines cover roundabout crossing safety, but Rochester nonetheless worked with the Rochester Center for Independent Living to ensure access for all pedestrians at the new South Plymouth Avenue and Ford Street roundabout, said Ed Doherty, commissioner of environmental services. He said the crosswalks are clearly marked so drivers can see them. Also, the sidewalks are separated from the roadway by raised curbing and have textured pads on their crosswalk access ramps — as required by the ADA — so blind pedestrians can feel where they're supposed to cross the road. But while textured pads and ramps help people find crosswalks, they don't help people know when there's a gap in traffic large enough to safely cross the road, said Janet Barlow, an orientation and mobility specialist with Accessible Design for the Blind in Atlanta, Ga.
Barlow is involved in a project with the National Cooperative Highway Research Program that is trying to find a better way to get blind and visually impaired pedestrians across roundabouts. Some devices under consideration include pedestrian-activated stop lights that halt vehicles when someone is crossing the road.But no workable solutions have yet been determined, she said. Need directions? Some Raleigh residents are not afraid to ask. A member of the blind community recently complained it has been hard lately to navigate downtown on foot because several sidewalks along the Raleigh Convention Center construction zone are closed. The city, contractor, and the Governor Morehead School for the Blind came up with a new idea -- audible awareness stations. At 10 downtown intersections, the machines play a message letting the visually impaired know which sidewalks are open. The concept is the first of its kind in North Carolina. City officials estimate about 200 visually impaired citizens come to downtown Raleigh daily. Some critics have complained that the sound quality needs to be improved. Skanska Barnhill is aware of the audio problem and is working to purchase higher-quality speakers. The total cost of the project is about $4,000. To help blind persons overcome the challenges they face to establish a career and live independently, Key today presented a $50,000 Key Foundation grant supporting career development projects at the Cleveland Sight Center. The unemployment rate of blind or visually impaired persons in Cuyahoga County is a staggering 60 percent, according to the Cleveland Sight Center, which has served the needs of the blind for nearly a century. Of the adult blind persons who are seeking jobs, about 66 percent have no work history or have not worked in more than 10 years. "Many blind or visually impaired adults must transition mentally and emotionally to accept the fact that they can live independently," says Cleveland Sight Center Executive Director Michael Grady. "Not only do these clients have to learn proper mobility techniques, and master the ability to use a variety of adaptive equipment and techniques, they must also learn how to interact appropriately in the workplace." For example, some clients must learn to focus and speak in the correct direction to supervisors and co-workers. Others may need assistance with their professional appearance or resume development. The Key Foundation grant will support services and programs at the Career Development Center operated by the Cleveland Sight Center. The Career Development Center served about 50 blind individuals last year. More than 41 percent landed jobs. "Every year, we expect to place more blind persons in jobs that can help them live independently," says Grady. "The Key Foundation grant will help us achieve this ongoing goal." Founded in 1906, the Cleveland Sight Center is a private agency that provides educational, rehabilitative, preventive and support services for 10,000 people in Greater Cleveland who are blind or visually impaired. Cleveland-based KeyCorp (NYSE: KEY) is one of the nation’s largest bank-based financial services companies, with assets of approximately $92 billion. Key companies provide investment management, retail and commercial banking, consumer finance, and investment banking products and services to individuals and companies throughout the United States and, for certain businesses, internationally. Dan Thompson never has forgotten what the Illinois School for the Visually Impaired and its teachers and staff meant to him when he was trying to deal with losing his sight at age 5. Thompson has spent much of his adult life trying to give back to the school and those in similar situations, including taking on some rather unusual pursuits. Gov. Rod Blagojevich on Tuesday named Thompson as the latest recipient of the People Are Today's Heroes (PATH) Award for leadership and service as a teacher at ISVI. "Dan Thompson has gone out of his way for over 30 years to help not only the visually impaired at ISVI, but also other individuals and organizations in the Jacksonville community and central Illinois," the governor said in a press release. "His courage and leadership make him one of today's heroes as well as an excellent role model for persons with disabilities and for all Illinoisans." Thompson is an assistive technology educator at the school, from which he graduated in 1972. He returned to the school as a teacher in 1991, and in between and since, has a long history of assisting individuals and organizations. Thompson, 54, was first employed by the Visually Handicapped Managers of the Illinois Vending Stand Program, where he participated in a number of "one-man fundraisers" to benefit not-for-profit organizations. Included were a 55-mile walk from Peoria to Galesburg to benefit the Peoria Association for the Mentally Retarded, walking 60 miles from Peoria to Bloomington for the United Cerebral Palsy Association to benefit a special-needs camp and sitting on a flagpole for 17 days and 14 hours for the Midwest Special Olympics. Later, he walked 250 miles from Quincy to Danville to raise money for the disaster relief fund set up for victims of the Sept. 11, 2001, terrorist attacks in New York and Washington, D.C. In between, he wrote a book of poetry, "Life's Inner Secrets," with proceeds going to the Cerebral Palsy Foundation, and in 1978 established the Peoria "Care for Kids" organization. During the 1980s, he became Illinois' first visually impaired individual to be employed as a Social Security determination adjudicator, but he says his dream always was to return to ISVI as a teacher. He has received such honors as the Lincoln Academy Award given by Gov. James Thompson in 1985. Kris Smith, assistant director with the state Department of Human Services, Division of Rehabilitation Services, presented the PATH Award to Dan Thompson at a ceremony in the school's auditorium Tuesday. "Dan's involvement within the ISVI community and the Jacksonville community at large has enriched the lives of many students and Jacksonville citizens over the years," said Smith. "His inner motivation appears to be his determination to assist those in need and to make sure every student at ISVI receives the same quality educational experience and opportunity as their sighted peers." Thompson said his association with the school and the city turned his life around. "This is a very special place," he said. "I came from a pretty tough home life, and I attribute the school in helping me become what I am today. They stuck by me, and my wife has stuck by me through some difficult times. I received compassion, and it is exciting to share some of that with the students here. "I want to continue teaching at least six more years because it's hard to believe this is so much a part of my heart. I feel whole when I'm here, so I guess I will go until they get tired of me." Known as "Mr. T" to students, Thompson and his wife, Judy, also an ISVI graduate, have two children: Amy, 26, and Brandon, 21. According to DHS spokesman Tom Green, the PATH Award was created by the governor's office in 2004 and has been given to "only a handful" of recipients. ISVI Superintendent Richard Snowden said he and staff nominated Thompson for the award. "Dan is a special person," Snowden said. "He is a good mentor and a good role model. The guy is a genius as far as technology goes. We have computers donated to us, and he rebuilds them so that every kid who graduates has a computer. We are very proud of him." ISVI, founded in 1848, is in east Jacksonville. The school has 80 students and 130 staff members. Hybrid vehicles are saving people money at the pump, but could there be a downside to the technology? The hybrid engines run much more quietly than traditional engines, and for people who rely heavily on their sense of hearing, they may not know a car is coming. At First Lutheran Church in Little Rock Tuesday, those who are blind or visually impaired will be able to ask questions and hear the seemingly quiet cars. (Teresa Mays, Arkansas School for the Blind) "Encourage clients to listen to the traffic so they know when the surge begins so they know when the safe time is to cross the street, especially a heavily traversed intersection." The visually impaired community is concerned some hybrid cars are causing a more dangerous situation because it’s more difficult to hear the cars…and hearing is critical to them. (Mays) "It’s difficult with some vehicles, not even just hybrids, to determine when to cross the street." So to try to make it easier, Landers Toyota is making hybrids available for the blind to listen too and ask questions. (Mays) "It definitely could have an impact on teaching street crossings. If every car here were silent, we'd have a hard time." A 33-year-old visually impaired man was arrested on Monday morning while trying to immolate himself in the Secretariat premises, Gandhinagar. Nathabhai Bachubhai Vegad of Bhavnagar was angry that the Government had failed to fulfill his four-year-old demand of setting up a mental hospital in Bhavnagar. Acting on a tip off, the Gandhinagar police reached the Secretariat main gate and arrested him along with three escorts trying to forcibly enter the Secretariat premises through the gate near block number one, which houses the Chief Minister’s office. Since no objectionable item was recovered from their possession, all the four were released later on producing personal bonds. During questioning, Vegad accepted that he had openly threatened to kill himself as the Government had failed to set up a mental hospital in Bhavnagar. Since his demands had not been fulfilled, he had come to the State capital and tried to enter the Secretariat with the intention of ending his life, he admitted. Since early this year, the Ministry of Culture and Information has co-ordinated with Force Foundation of Holland to hand over sets of reading aids to visually-impaired people in 40 libraries in cities and provinces. The second phase’s to training course for 13 librarians in northern provinces was held to train them to use the machine. In addition, a project on digital sound books for Ho Chi Minh City’s library was also deployed. The project was funded by the Vietnam-Denmark cultural exchange fund. Can you imagine getting on your bicycle and taking a 22-mile ride through Wakulla County with your eyes closed? But what if you had a partner to lead the way? The Tallahassee Council of the Blind was up to the task. Capital City Cyclists and bicycle shops Higher Ground and Sunshine Cycles lent their bikes and their talents to take 24 visually-impaired people on a tandem bicycle ride Saturday morning from Newport Park to the St. Marks Lighthouse and back. This is the council's first time cycling as a group, but many members had tandem cycled before. "It emphasizes that we can do just about anything anyone else can," said Mycell Armington, second vice president of the council. Armington, along with Higher Ground manager Roger Hawkes, coordinated the event. Adam Gaffney, who was born with partial vision, brought his own bike. He doesn't ride alone, but he is able to easily follow someone else. "I am always looking for partners to ride with," Gaffney said. Kimberly Morris, who attended the Florida School for the Deaf and Blind with Gaffney, rode with him. "I trust him," Morris said. "He's rode with me before and hadn't killed me yet." The non-visually-impaired cyclist steered the bicycle, while the visually-impaired person peddled in the back. The cyclist on the front of the bike is called the captain and the cyclist on the back is called the stoker. The captain tells the stoker when to slow down, speed up, break and shift their weight for a turn. To be a stoker, all you need is a sense of balance and a willingness to work together. "It is a very good test of relationships," Capital City Cyclists member Gary Robertson said. "It takes communication from the captain and the stoker." A COLLEGE to train teachers for visually impaired students will soon be established under the Delhi University. The course structure for the college is being considered by the DU Academic Council. ‘‘A committee was formed with two members from the Central Institute of Education (CIE) and one from the Blind Relief Association. If the course is approved in the next Academic Council meeting, we may start the session this year,’’ said P.C. Mehta, deputy executive director of the Blind Relief Association that will run the Durgabai Deshmukh College of Special Education (Visually Impaired). As many as 20 teachers will specialise in teaching visually impaired students here. Mehta said the eligibility of the candidate for the course would include some qualification in the field of education. Quantum Simulations, Inc., a developer of artificial intelligence (AI) tutoring and assessment software, has completed a six-month, $100,000 research project funded by the National Eye Institute, a division of the National Institutes of Health, to produce the first and only tutoring software based on artificial intelligence for students who are blind or visually impaired. Quantum’s AI tutoring program for chemistry has been certified by the National Federation of the Blind's (NFB) Nonvisual Accessibility Web Application Certification Program. Because the Tutors are Internet-based and equipped with a unique dialogue-driven tool that converses with students, the software is well-suited for use with synthesized speech screen access technologies utilized by individuals who are blind or visually impaired to navigate web sites and access e-mail. This historical achievement marks the first-ever artificial intelligence accessible Tutor for the visually impaired.“Quantum Simulations has not simply achieved accessibility, they have systematically built it into the core of their tutoring technology,” commented Dr. Marc Maurer, President of the National Federation of the Blind. “In this way, they have created a powerful learning tool for all students and, fortunately, Quantum realizes that ‘all’ includes students who are blind or low vision. This inclusive and forward-thinking design strategy not only helped Quantum achieve Accessibility Certification, it helped them build a better product that benefits a wider audience, which is business innovation at its best.”“With additional funding from outstanding agencies such as the National Eye Institute and the National Federation of the Blind, our hope is to incorporate accessibility into the complete line of Quantum Tutors within two years,” stated Dr. Benny Johnson, President and CEO at Quantum. “Equally important, the methodology developed by Quantum and our expert collaborators will have broad impact on the potential to develop accessible software in other content areas beyond math and science.” Just like working with a human tutor, Quantum's tutoring software allows students to work on any problems they choose, ask questions and receive personal guidance, hints and feedback based on their own work and subject knowledge. Through the use of patented artificial intelligence technology, the Quantum Tutors embody the proven teaching practices of Mr. Dale Holder, award-winning master teacher with over 35 years of experience. As a result, classroom research has shown that the Quantum Tutors can improve test scores by as much as 50%.“It is tremendous to see a leading developer of advanced educational software place such high importance on accessibility,” said Jeff Dittel, President of Britlan Ltd. and collaborator on the Quantum Tutor accessibility project. About QuantumQuantum Simulations, Inc. develops artificial intelligence (AI) tutoring, assessment and professional development software that empowers teachers and inspires students from middle school through college to improve their knowledge and appreciation for the sciences. Teacher tested and approved by educators across the United States, Quantum's AI software is proven in research studies to improve comprehension, problem solving skills and test scores by as much as 50%. Quantum's intelligent tutoring engines are integrated with existing web-based learning products, providing a strong competitive edge for distributing partners. A "technology think tank," Quantum is funded and supported by the U.S. Department of Education, the National Science Foundation and the National Institutes of Health. About the the National Federation of the BlindWith more than 50,000 members, the National Federation of the Blind is considered the largest and most influential membership organization of blind people in the United States. The NFB improves blind people's lives through advocacy, education, research, technology, and programs encouraging independence and self-confidence. It is the leading force in the blindness field today and the voice of the nation’s blind. In January 2004, the NFB opened the National Federation of the Blind Jernigan Institute, the first research and training center in the United States for the blind led by the blind. Watching Koichiro Kobayashi enjoy indoor rock climbing, it is impossible to tell that he is visually impaired. Kobayashi recently set up a nonprofit organization to provide visually impaired people with opportunities to enjoy sports. It is called Monkey Magic, based on people's description of Kobayashi as moving as fast as a monkey and his hope that handicapped people can overcome any obstacle with magical ease. "I want people to know that they can enjoy sports, despite being handicapped," he said. The NPO organizes events in which everyone can enjoy sports, including free rock climbing--indoor and outdoor. Kobayashi also holds classes for beginners. Kobayashi said visually impaired people could excel at rock climbing because they can feel their way up the wall with their hands, moving as slow or fast as they like, but remain safe due to a lifeline. "Free climbing doesn't need special rules for the handicapped," Kobayashi said. "Some people learn faster than those who are not handicapped." Kobayashi, who started climbing at the age of 16, used to organize tours for people to enjoy outdoor sports. But at the age of 28, he was diagnosed with retinitis pigmentosa, which impairs vision. There is no cure for the disease, and it is highly likely that he will lose his sight completely. After receiving the diagnosis, he thought hard about what he could do as his eyesight diminished. Early in September, he climbed Mt. Kilimanjaro in Tanzania with other people from all over the world with physical disabilities. "The handicapped enjoy sport as much as everybody else does," Kobayashi said. "I want to help them find such happiness." 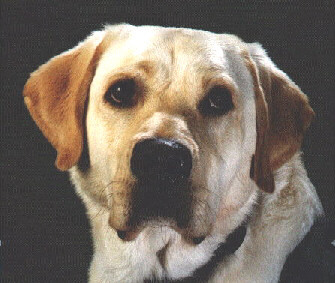 Service dogs to be trained by inmates, for the visually impaired, the hearing impaired or to detect seizures. Some prison inmates will soon become dog trainers. The Department of Corrections says 20 male inmates will be chosen to train dogs for people with sight and hearing problems. They also will train dogs to help people with balance problems and those who suffer from seizures. The dogs will stay with their trainers and sleep in their cells, department spokesman Jeff Lyons said. A community group, Pathways to Hope, will provide the dogs, instructors, and other services and supplies. Similar training programs already operate in other states, including Massachusetts and Maine. Training is provided to the visually impaired to live a full and independent life. Independence in life, despite impairment - that’s what the Visually Impaired Centre of St. Xavier’s College, aims to achieve. By far, the visually challenged students of this centre have met with success at achieving their motto. Managing the University syllabus along with making presentations in class, playing cricket and standing shoulder-to-shoulder with every other student in class. Functioning since a couple of years, this centre has about 16 students, who are partially or completely impaired. But despite the visual challenge, they come across as confidence personified, savvy and versed with technology apart from being ebullient and sprightly.“Professor Sam Taraporewalla, who has been a sociology professor of this college for around 20 years and who himself is visually challenged, took up the initiative to commence this centre for the visually impaired students of this college,” said Sandeep Singh. Sandeep Singh who is presently doing his SYBA in Sociology, English Literature and History has also been coordinating the task of acquiring writers for the Visually Impaired students for their exams. “We dictate our answers to the writers, who write our papers. Our examination time is also extended by half an hour, as sometimes it takes a while to explain to the writer what we want to be written on the answer sheet,” said Sandeep. For the forthcoming October examinations, Sandeep managed to get more than enough writers for every student at his centre.The centre has various students studying in the college, and all of them are studying for a Bachelor of Arts (BA) degree.Not just academics, the centre also boasts of a good cricket team. “We have been playing cricket since two years. In fact, last year we won against a match against Ruia College. The match this year will take place in December,” informed Sandeep. These students have a place of their own which boasts of a Prisma Telivision, with a camera attached to it. This equipment is meant for students with low vision. The camera scans notes, and textbooks put under it, increases the font size as required and displays the write-up on the television screen. The centre also has two computers with the software called ‘Jobs’ that puts to volume every command issued by the students.“The software reads out word documents as well as emails to us. We can even go online, on the sites recommended and do research for our subjects. And we can read newspapers online as well, from the newspapers’ websites,” said Sandeep, who has a keen desire to pursue his studies at the Xavier’s Institute of Communication (XIC). New library not visually impaired friendly! Several users have already been injured at the building, which features electronic doors that can suddenly shut in your face, uneven floors, confusing artwork, and hazardous lighting at foot level. Pitfalls and simply dangerous obstacles greet blind or visually-impaired visitors to the NLB in the new annex at the National Library of Norway in Oslo. As one approaches the area there are unmarked steps of varying height on the right. On the left side are raised lights built into the floor, which the visually impaired can quickly trip over. "The library is one of the places most often visited by the blind. But the building is less suited for the visually impaired than most others," said Svere Fuglerud, policy adviser at the Norwegian Federation for the Blind (NBF). Fuglerud took Aftenposten's evening edition on a tour of the library. The first stop requires a witness to yell out a warning that the door is heading for him. The entrance doors can only be opened with a switch on a wall behind the door, not easily found even for those with 20-20 vision. The doors then open outwards, and while the visually impaired are occupied with the switch they can easily get the door right in the face. "There are no sensors that detect someone standing at the door. People can be caught easily," Fuglerud said. "It's incredibly heavy. The worst type of door I have ever seen." After passing two doors, surprise obstacle number two: art inlaid into the floor that easily confuses the visually impaired. "The visually impaired think that these are functional and are something that should be followed. But the artwork leads you out again," Fuglerud said. The presence of the artwork prevents the customary use of guide lines on the floor, and so a line of light is used instead. "Everyone must know that the blind won't have much use for that," said NBF consultant Hege Henrichsen. All of the entering doors and walls at the library are made of glass. Henrichsen points out that the visually impaired will walk right into these, and library manager Arne Kyrkjebø adds that so far two fully sighted employees and a bicycle courier have also walked into the glass - though no one has been injured yet. "The courier had a helmet, so he was OK. It's worse for the elderly," Kyrkjebø said. Architect Gro Eileraas is stung by the criticism from the NBF, and said that she thought a good dialogue had been in place and that they were satisfied. She said that the problems were all noted and that improvement were underway, and that everything should be fixed within a few weeks. Eileraas said that the annex was originally planned as an office building, and that changes had to be made once they knew the library was moving in. "The decision about the NLB moving in was taken when the structure was ready. So we have had very little time but have striven to meet their needs. We think it is regrettable and unfair, the criticism we are getting now," Eileraas said. People who are losing their sight can maintain their independence after a low vision service was set up in Wandsworth. The project, launched over the summer, is a partnership between Wandsworth PCT, social services, the voluntary sector and high street optometrists. Patients can refer themselves, or by their carers or 10 opticians and two assessments centres in the borough. They are assessed and prescribed a low vision aid, shown how to use the equipment and loaned the aids on the same day. A patient at the Pocklington Resource Centre, who did not want to be named, was told she was going blind in 1999. She said: "The help I have received from the project has made an enormous difference to my life. I've become involved with the project I'm able to do practical things." A Yorkshire-based charity for blind people has welcomed its second funding boost from a leading grant-making trust.Henshaws Society for Blind People has been given a £5,000 boost by the Lloyds TSB Foundation for England and Wales. It is the second instalment of a £15,000 grant awarded to help fund the start-up and running costs of the charity's innovative Skillstep programme in Wakefield.The aim of the course is to provide blind and visually impaired people with the opportunities, skills and confidence they need to reach their true potential in life. The course has been running in the north west of England for 10 years and more than 80% of Skillstep graduates have already gone onto full employment, further training or volunteering opportunities.Stephen Robinson, Yorkshire manager for the Lloyds TSB Foundation, said: "We agreed to help fund Skillstep in Wakefield because it focuses on the needs of each individual and ensures that throughout the programme the client is enjoying the opportunity to learn and further themselves. "Kate Taylor, trusts and grants co-ordinator for Henshaws Society for Blind People, said: "Over 15,600 people in West Yorkshire are registered blind or partially-sighted so we were delighted to be able to introduce the Skillstep programme to Wakefield.]" The programme is going from strength to strength in helping individuals live a fuller life as well as working to counteract negative assumptions and stereotypes regarding disability in the workplace. "Since Skillstep launched in Wakefield last year it has had a significant impact on the lives of local blind and visually impaired people who are currently unemployed and seeking work.Students have enjoyed a wide range of work experience placements in their dream jobs, including West Yorkshire Police and Victim Support.All employers offering work experience receive Henshaws own visual impairment awareness training, which provides a positive model for challenging discrimination against disabled people in the workplace as well as promoting equal opportunities and raising awareness of the potential and needs of visually impaired employees. In Wakefield, Skillstep will benefit 18 unemployed blind and partially-sighted people from the local community each year.Each participant will start the programme by working closely with the course co-ordinator to design a 12-week learning plan that incorporates their own specific needs and interests.The programme is designed to take visually impaired individuals from a state of low confidence and self-esteem to planning their personal development through further education, training, voluntary work and employment. Each individual's programme will include some key elements such as mobility training, independent living skills, interpersonal skills, confidence building, information technology training as well as vocational guidance.Throughout 2005 the independent Lloyds TSB Foundation for England and Wales has £22.5 million to distribute to registered charities throughout the UK, including over £1.8 million for charities in Yorkshire.For more information about the Skillstep project in Wakefield visit www.hsbp.co.uk. Ken Lexer can cook pasta primavera like a pro.Every Tuesday, he feeds 200 people at a local soup kitchen, and they know they're going to get something special on his shift -- like the time he made mini-pizza, using donated bread. Not having the freshest ingredients doesn't stop Lexer. Neither does the fact that he is legally blind.Lexer, 54, of Boynton Beach recently was a guest chef on the new show Cooking Without Looking.The show teaches cooking skills and kitchen safety to blind people and those with impaired vision. Show producers put together an audio-heavy program with play-by-play descriptions. It also helps that the visually impaired hosts describe the action, producers said. Each show features a visually impaired or blind audience, three hosts with different stages of vision loss and a guest host who shares a favorite recipe.Lexer served up some Oriental stir-fry. "It smells so good," said Allen Preston, 56, of West Palm Beach. Preston is a former high school shop teacher and show host who lost his vision during childhood. His service dog, John T, a black Labrador, sits close by. "I'm putting in some fresh garlic," Lexer says, as he maneuvers a silver spatula in a wok. The aroma of garlic and tangy ginger lingers.After suffering a stroke eight years ago and being diagnosed with diabetic retinopathy, Lexer became blind. He slowly regained only limited vision and needs a powerful magnifying glass to see. "I thought, `What am I going to do?'" Lexer said. "I would just sit in a chair, try to watch TV or take a walk, that's it." But he found some hope in cooking. Lexer eventually enrolled in a number of cooking classes over the years and learned how to cook. "The only time I go in the kitchen now is to clean up," said his wife, Marciene. "When he lost his sight, he thought his life was over, but cooking has given him focus. "During his Cooking Without Looking episode, Lexer shared tips with the audience, including how to adjust stove temperature safely and using pre-cut vegetables and meats for recipes. Other guest hosts have showed how they use different container sizes and shapes to identify specific ingredients, such as paprika and basil. Everything starts with having an extremely organized kitchen, some said.The show's producer Ren'ee Rentmeester, president of the Vision World Foundation, an organization that provides services to the visually impaired, came up with the concept for the program after scouring the Internet and discovering that cooking was a popular topic among the blind. A veteran TV producer, Rentmeester said the show combines two of her interests, TV and helping people.Cooking Without Looking began airing in February and is taped at WXEL's Boynton Beach studio. The show includes segments that discuss common eye diseases and interviews with health professionals. The show has also explored topics such as AIDS and vision loss and children's blindness.Another host, Annette Watkins, 46, of Sunrise, who lost her vision to macular degeneration, conducts the interviews. Earlier this year, Rentmeester found a sponsor, John Palmer, owner of Magnifying America, a store for the visually impaired in Coral Springs. He underwrote the first season of Cooking Without Looking, which consists of 13 episodes. WXEL is offering the show nationally to 350 PBS stations, Rentmeester said. "The show is a good tool to educate the public [about blind people], what we can do and who we are," said Celia Chacon, 54, of Plantation, a show host who lost her eyesight 13 years ago. A former caterer, Chacon had to teach herself to cook again, relying mostly on her sense of smell and touch. Now she makes a mean cheesecake and apple pie pizza, she said.Producers said they hope Cooking Without Looking attracts not only people with vision loss, but also their families.For the show's target audience, the benefits could be more than just a tasty meal. "The best thing we can do is encourage people who have lost their eyesight to maintain their independence," show host Preston said. "Cooking is one of those things that keeps you independent." On Saturday, October 15, 2005, The Iris Network will host a White Cane Awareness Walk in celebration of its 100th Anniversary. Where: Portland – All starting and end points are at Deering Oaks Park, Park Avenue Time: Registration 12:30 PM Walk 1:00 p.m. Why: The purpose of the walk is to promote awareness of people who are visually impaired or blind, to increase public awareness of Maine’s White Cane traffic law, and to raise funds to support needed services to people in Maine who are visually impaired or blind. Help support a great cause! Walk with friends, family and co-workers! Choose one of ten 10K routes to commemorate the Iris Network’s 100th Anniversary. Gather pledges, win prizes and help make a difference in the lives of individuals who are visually impaired. Walkers who raise a minimum of $25 in pledges will get a “100 Years, 100K” Walk T-shirt. For further information on registration and route details visit our website at www.theiris.org or call The Iris Network at 774-6273. The Iris Network is a statewide not-for-profit organization of professionals working to bring genuine independence and unlimited promise to the lives of individuals who are experiencing functional visual difficulties. There are athletes amongst the visually impaired too! One hand on a waist-high rail on the edge of the lane and bowling ball in the other, Mario Eiland glides to the foul line, hurls the ball and -- wham!! -- eight of the 10 pins fly. "That was a lucky throw," said Eiland, 34, a member of 16 FunMakers, a league at Louisville's Ten Pin Lanes. "To tell you the truth, I'm not very good at it." Asked his average, Eiland demurred: "I don't like to talk too much about it. I'm too embarrassed to say, but it ranges between 60 and 70. Once in a while, I get lucky with a strike. Other than that, I just go to have fun." Eiland is blind, a computer programmer at American Printing House for the Blind, and 16 FunMakers is a blind bowlers' league. Though sightless since a shotgun accident when he was 7 years old, Eiland is like thousands of athletes here and across America who don't let their disability sideline their game. There are blind swimmers, skiers, wrestlers, golfers -- name an individual sport, and visually impaired athletes are competing. Henry Wanyoike, a totally blind Kenyan runner, beat 500 competitors, mostly sighted, in a 5-kilometer race here last year, the Texas Roadhouse Stampede for VIPS. It benefits Visually Impaired Preschool Services, a private nonprofit agency serving visually impaired children in the Louisville area. Blind track competitors run with sighted guides, and in the case of Wanyoike, a world record-holder in the 5,000- and 10,000-meter races for the blind who runs the mile in under 5 minutes, the challenge faced by race organizers was obvious. "We had a hard time finding someone to keep up with him," said Robin Frazier, director of development for VIPS. "He ran with Nick Crider, an excellent runner from Louisville. And as far as I know, we're the only local race that recognizes visually impaired athletes. We have a visually impaired division. We give prize money, and some of our sponsors wanted their money designated for that division." Blind runners in this year's Stampede Aug. 20 included Nebraska-based track star Kurt Fiene, who placed ninth in a field of 309, and Jamie Weedman, a local standout featured in the September/October issue of Kentuckiana HealthFitness. Instrumental in establishing the race was Jim Vargo, assistant athletics director at Bellarmine University and head track and cross-country coach for the U.S. Association of Blind Athletes. He's worked with blind runners since the early 1990s and has regard for disabled sportsmen bordering on hero-worship: "At the Paralympic Games in Barcelona in 1992, it was just amazing to watch all these athletes from across the world, who had what most of us would perceive as significant disabilities, performing unbelievable athlete feats. Running the mile in 4 minutes and 29 seconds. Somebody who only has one leg doing the high jump. Watching the speed and power of wheelchair racers. And in my 15 years working with blind athletes from all walks for life, from all over the world, I cannot recall one instance where any of those individuals felt sorry for themselves or were looking for a handout. They are some of the most genuine and courageous people I know." The Paralympics Vargo referred to is the international, Olympic-style sports competition for athletes with disabilities, always held in the same year and venue as the International Olympic Games. The United States Association of Blind Athletes, USABA, is a Colorado-based organization of the U.S. Olympic Committee that trains blind athletes across the country for competition and recreation and promotes their abilities. It sponsors track and field events -- distance, sprint and relay racing, shot put, discus throw, long jump and high jump -- and coaches blind individuals in most sports, including judo. But its signature is goalball, the rough-and-tumble team sport specifically developed for the blind, where players wearing blacked-out goggles and body pads throw at or defend goals at each end of a 10-by-20-yard court. The 3-pound ball is filled with bells, and players track it by sound as it's hurled up and down the court at 45 mph. Nickie Priddy, a Louisville homemaker who plays left wing on the Kentucky Phillies team (there's also the Kentucky Thoroughbreds for men), scored a point and blocked a penalty shot against the Florida School for the Deaf and Blind at the USABA Midwest Regional Goalball Championships in Kalamazoo, Mich., in February. "I got in the center's position, and heard it coming," said Priddy. "Usually, when I'm defending, I'll crouch like a catcher. But this time I was on my toes, and it was coming crosscourt toward my left side. Basically all I had to do was move a little and catch it with my hands." Now 30 and a mother of two, Priddy was born with cataracts but had functioning vision until she was 25. She played team sports while attending Iroquois High School, lettering in softball and achieving an all-district honor her junior year. "Both my parents are legally blind," she said. Her fiancé, Kevin Pearl, heads the Kentucky Association of Blind Athletes. "My father, Reni Jackson, played goalball, and I grew up around blind people and sports. So I didn't think that losing my sight was the end of it all, and I'm proud that as a blind adult, I can still play. My kids were also born visually impaired, and I can expose them to sports, which is wonderful to me." Salesboom.com, industry leading provider of hosted CRM software solutions, today announced a new User Interface option for visually impaired Salesboom users. The new interface, which completely redesigns the existing Salesboom UI, is the first of its kind in the hosted CRM software industry, and is set to pave the way for more visually impaired accessibility options in the future. Salesboom is also planning on releasing a keyboard-to-voice engine integrated into the Salesboom system, which would allow users with visual impairments to have the Salesboom CRM system read back the data that was input. The new user interface update is available immediately to all Salesboom hosted CRM users. "This marks a huge breakthrough for the CRM industry in regards to accessibility," commented Troy Muise, Salesboom CEO and Co-Founder. "By releasing this enhancement, Salesboom is continuing down the path which our competitors refuse to take - the one which gives accessibility to our end users across the board with no limitations. The President of the United States recognizes the importance of accessibility with his launch of the Freedom Initiative. Salesboom is firmly committed to providing users with disabilities assistive technology to help them utilize our hosted CRM software system. We will continue to trail-blaze and innovate in this and other areas, while our competition simply stagnates." The new assistive technology for the Salesboom CRM system is an important benefit for organizations which work with blind or visually impaired people in securing employment, as it provides a great system for use internally as well as with partner companies in providing stable and accessible work places. "The new Accessibility Theme will make the lives of a number of our visually impaired users much easier at their workplace," Commented John Courtney, a senior software engineer at Salesboom.com who is also visually impaired, and has been with the company since development started in 2001. "In the United States alone there are over 3 million visually impaired people in the workforce. What surprised me is learning that we were the first hosted CRM provider to reach out to them." An 80-year old visually impaired man from Derby, deprived of rehabilitation support to assist with independent living, is backing Guide Dogs' appeal (launched, Monday, 03 October), encouraging the government to Rethink Rehab for blind and partially sighted people. Andrew Patrick Rollinson, from the Alvaston area of Derby, explains the difficulties he has encountered accessing services and support to help cope with sight loss: "I despair at the lack of rehabilitation support I have received. I've been completely blind for 15-years, never taught how to use a long cane. Following a heart attack in 2002, I was advised that my house was too big. The local authority relocated me to a first floor flat but still no rehabilitation support was provided. It's a disgrace - I'm an 80-year old, left on my own with no support to help cope with my blindness; it's like been trapped in a box for the rest of my life." Despite the extra money spent on health and social care in recent years, many blind and partially-sighted people still face social exclusion due to under-investment in rehabilitation services, according to Guide Dogs. Many are forced to stay in their homes, unable to go anywhere without a guide, leading to exclusion from work, social and civic life. Claire Houlihan from Southend is another person with sight loss, who is being neglected by the rehabilitation service: "When registered blind three years ago, the social workers at the hospital posted me a white cane - of the wrong type - but provided no personal support. Local social services even told me they didn't know of anybody who was employed to help blind and partially sighted people! It's a disgrace." Southend West MP, David Amess, is so alarmed by Claire's experience that he is presenting a Parliamentary Motion in the House of Commons, backing The Guide Dogs for the Blind Association's Rethink Rehab campaign. A similar motion is being sponsored by Kate MacLean MSP in the Scottish Parliament. The charity's Rethink Rehab campaign aims to raise awareness of this injustice and encourage the government to provide increased investment in rehabilitation services. The campaign is supported by other national visual impairment charities, including the Royal National Institute of the Blind. As part of the campaign, politicians throughout the UK are being sent a jigsaw puzzle postcard. The jigsaw will have a piece missing, symbolising the current lack of rehabilitation care provision for those with sight loss. Guide Dogs wants politicians to rethink their commitment to rehabilitation services for blind and partially-sighted people. Local guide dog owners, and voluntary groups representing blind and partially sighted people, are reinforcing these important messages by posting the missing piece of the jigsaw to their MP, MSP or Assembly Member (Wales). As Tom Pey, Guide Dogs' Director of Policy & Development explains: "Across the UK, many people with sight loss are unable to do everyday things, such as cooking for their family, going to the shops, or to work - all because they haven't been given appropriate training. We need the help of guide dog owners and other blind and partially-sighted people to make ministers sit up and take notice of our plight. "The picture is completed when the politician receives both parts of the puzzle - from both Guide Dogs and guide dog owners - representing a professional, adequately-funded service, achievable if the government commits the necessary resources." The scale of the problem differs from region to region, but these facts are true nationwide: * There is a serious crisis in the provision of rehabilitation services for blind and partially sighted people across the UK. This means that thousands of people with sight loss are unable to lead full and independent lives as they haven't been given the right skills to cope with visual impairment. * Many authorities do not have properly qualified staff to carry out rehabilitation training - akin to someone without a driving licence teaching a sighted person how to drive. * Guide Dogs is committed to the biggest review of the rehabilitation needs of blind and partially sighted people for 25 years and its aims are supported by organisations across the visual impairment and social care sectors. The school experience for any child extends outside of the classroom. But if that student is can't see, often the opportunities in school are limited. That’s why a nonprofit that's an extension of the Texas School for the Blind and Visually Impaired is giving those students a lesson in extracurricular activities. News 8 Austin’s Paul Brown spoke with Gloria Bennett, the coordinator of All Blind Children of Texas. Q: What's the idea behind forming All Blind Children of Texas? A: The nonprofit started because we feel that all blind children should have a sense of pride and self-worth, and our mission is to try and advance the optimal development of blind and visually impaired children. We know that many blind children get a great education, but they don’t get an opportunity to experience outside the classroom things like drama, art and music and sports. Those are the things that give a child a challenge and give the self-confidence to overcome and participate. All Blind ChildrenWatch the complete interview with Gloria Bennett. Q: How far is this outreach? A: We would like to reach all 7,000 blind and visually impaired children in Texas. The Texas School for the Blind is in contact and serves all those children in some way, either directly or through our outreach department. We are surveying with parents and professionals to find out what they want their students to have. Q: What do the kids tell you about their experiences in these extracurricular activities? A: We know for a fact that these can be really life-changing experiences. One student who is visually impaired and autistic, and he participated in our drama program and was in our spring play two years in a row. It brought him some rewards and showed him he is more capable than he ever knew he could ever be. At the end of opening night he went to his drama teacher and said, “This was the best day of my life. I hope it never ends.” The self-confidence he got has extended over into his everyday life. Q: Tell us what to expect at the Texas School for the Blind and Visually Impaired as it becomes 150 years old! The performance of Angolan Government regarding aid and education to visually impaired people was Saturday praised, in Lisbon, by the national director of the department of assistance to the disabled of the Angolan Social Welfare Ministry (MINARS), Andre Zinga Knula.The official was speaking during a seminar on the occasion of the 25th anniversary of the Portuguese Association of Promotion of Employment for Visually Impaired People (APEDV), held Saturday in that city. According to MINARS representative, the effort has been complemented by national social partners, with highlight to churches, institutions of community, humanitarian and solidarity, as well as other bilateral and multilateral international organisations involved in aid to development.Angola, he said, has currently 170.000 handicapped people controlled countrywide. 89.170 are under Government control, being six percent of them visually impaired.Angolan delegation to the seminar included specialists from to Ministries of Education, Youth and Sport and officials of the National Association of Aid to Visually Impaired People (ANADV). Indiana election officials saw for the first time how voters who are blind or visually impaired could vote using paper ballots without assistance. The Indiana Election Commission had already certified the Automark voting machine by Election Systems and Software. The machine allows those with visual disabilities to vote using optical-scan ballots like those used by Marion County voters in the last election. Voters read the ballots by listening to audio with headphones and using braille-labeled buttons to cast votes. “Now we have the technology that can help people so that they can actually vote privately and independently just like any other voter without a disability,” said Kristi Robertson (D-Co-director, Indiana Election Division). “For people with disabilities such as those without sight, that's been an impossible thing in the past. They've had to have assistance from a friend or relative and trust and rely on that person to have that ballot marked in accordance with their wishes,” said Brad King (R-Co-director, Indiana Election Division). The federal Help America Vote Act mandates that every precinct must have one voting machine accessible to all voters. Counties that purchase machines that comply with the mandate would be reimbursed with federal funds.